WASHINGTON (Sputnik) - US President Donald Trump and First Lady Melania Trump are watching the results of midterm elections at their White House residence together with friends and family, spokesperson Sarah Huckabee Sanders said in a statement. 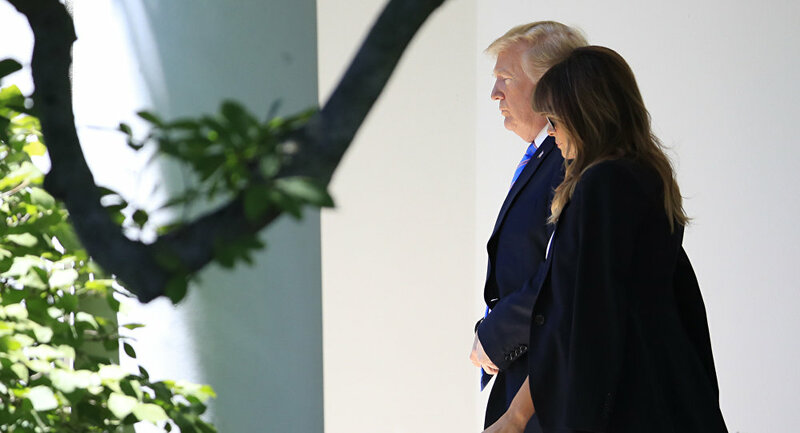 "The President and First Lady look forward to watching the results come in with friends and family in the White House residence," the statement said on Tuesday. Sanders pointed out that Trump has headlined 50 rallies, 30 of which he held in the last two months, and campaigned for dozens of candidates at all levels of government. "Under President Trump’s leadership, the Republican National Committee has raised more than a quarter billion dollars, fueling an extraordinary ground game geared toward defying midterm history and protecting the GOP’s majorities," the spokesperson added. US voters are heading to thousands of polling stations across the country on Tuesday to cast ballots for 435 seats in the US House Representatives and one-third of the 100-member Senate. In addition, some voters are electing governors and state legislators. READ MORE: Midterm Elections 101: What's at Stake, Will the Blue Wave or Red Surge Win Out?